Image: SumoSalad’s new Melbourne Airport store. SumoSalad co-founder and CEO Luke Baylis made headlines when the news broke a month ago that he had placed two of the 20 companies in his group into voluntary administration in a bid to negotiate a rent cut with Westfield operator Scentre Group. And now, the bold move appears to have paid off. “We are still working with our landlord partners at the moment and we’ve been in some very constructive discussions, but haven’t finalised anything as yet,” Baylis told Retailbiz. Baylis said putting the companies in administration was “out of necessity to be taken seriously about the impact that has occurred through cannibalisation”. This cannibalisation has come about as landlords continue to add more food outlets into shopping centres, drastically increasing competition for shoppers’ dollars. “We are being heard, we are being taken seriously, so from that standpoint [the strategy] has triggered a much more considered response from landlords,” said Baylis. In order to future-proof the business against the traditionally high cost food court model, Baylis said he is focused on diversifying the locations the chain operates in. SumoSalad has just opened a new store at Melbourne Airport T2, following the successful opening of a similar store at the Sydney International Airport. “We are not moving away from traditional retail locations, we are expanding our portfolio into different types of locations…particularly where there are limited options and choices. SumoSalad also has locations in hospitals, and Baylis said the company is looking at everything from automated stores to shops in office buildings and train stations—anywhere healthy food is needed. “Ultimately if our objective as a business is to democratise healthy fast food, we need to find viable ways in which to expand and achieve this,” he explained. 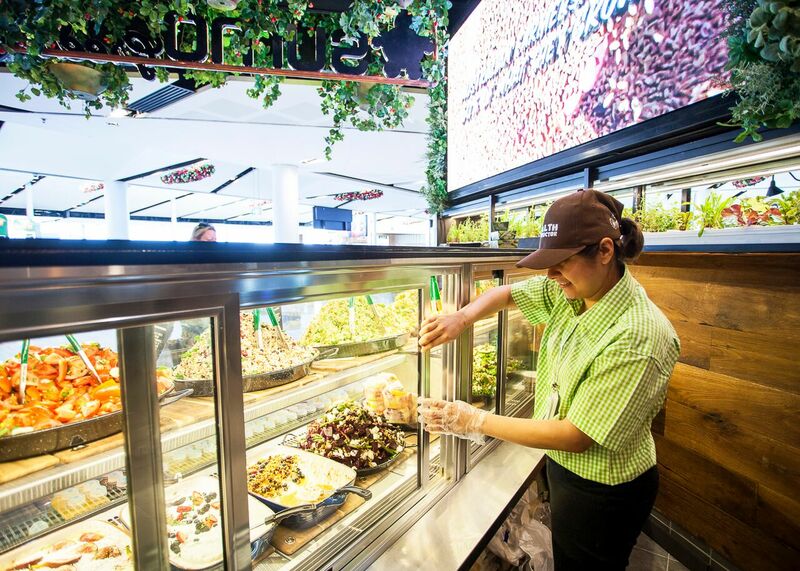 The chain has also partnered with Caltex Australia on ‘The Foodary’ convenience concept, with SumoSalad operating as a store-within-a-store offering consumers a healthy on-the-go option. You can also find SumoSalad on Jetstar flights. “Ultimately we want to make it easier for our customers to consume healthier, nutritious foods,” explained Baylis. This includes beta testing direct to consumer delivery. “We see a great future in that as eating habits change and more people consume takeaway in a more convenient fashion.